In 2017, at the Festival de teatro Clásico de Almagro, with our dance company El ballet imperial de la reina Rosamunda, we released “My Prince Charming.” A contemporary dance show against the stereotypes of the male / female roles to the present and for all time. 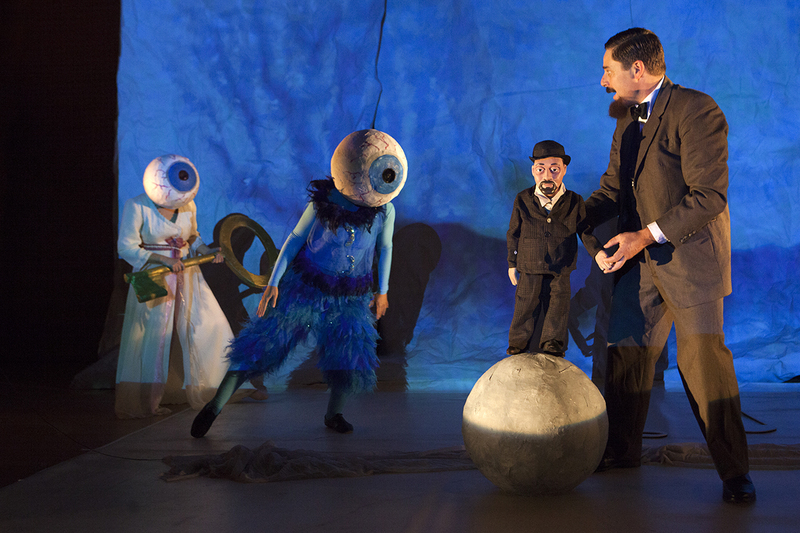 In the summer of 2016, with ‘La companyia del príncep Totilau’ and at the Sant Pere Sallavinera classical music festival, we premiered “Monsieur Croche”, a show without text, with puppets, masks and gesture theater and the music played live by Claude Debussy. In the summer of 2014, once more with ‘La companyia del príncep Totilau’, we gave the first performance of our first street show, “El llop ferotge” (The big bad wolf). Based on the judgement of the wolf’s character, we tell the popular stories of Little red Riding Hood, the Three Little Pigs and the Seven Young Kids. 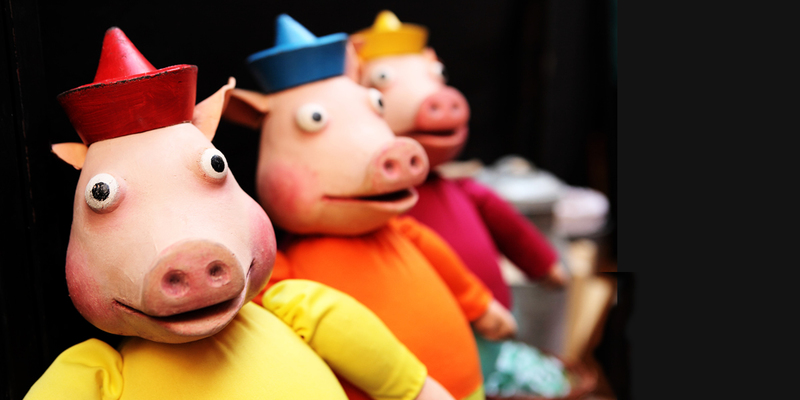 “El llop ferotge” is a show of actors, puppets and masks for children from three to eight years of age, which can be performed in the open air or in a theatre. In 2012, we founded the new dance company ‘El ballet imperial de la reina Rosamunda’, with which we created “Escenes d’infants” (Scenes from Childhood). In this show we take a tour of different piano works by the great Catalan musician Frederic Mompou, and following the spirit of his music, we try to show the most important values of infancy: freedom, joy, humour, simplicity, imagination, playing and innocence. 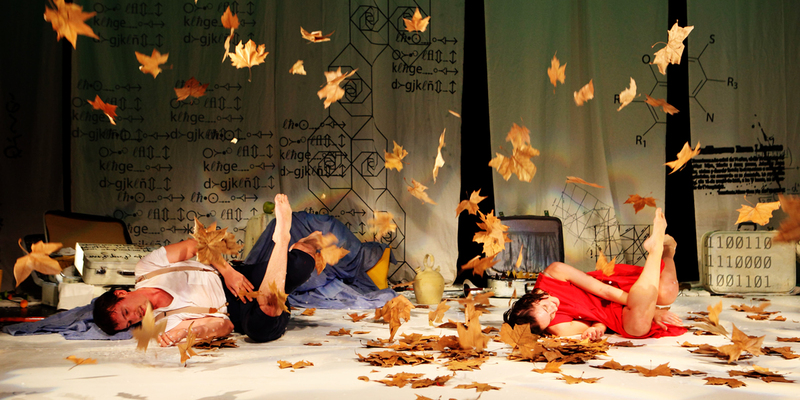 In 2012, with ‘La companyia del príncep Totilau’ in a joint production with the Teatre de l’Aurora, we first performed “El país del pa amb tomàquet” (the country of tomato rubbed bread), a show which talks about Catalan traditions from a very special point of view; from that of two extra-terrestrials who have spent a year in a school in our country. 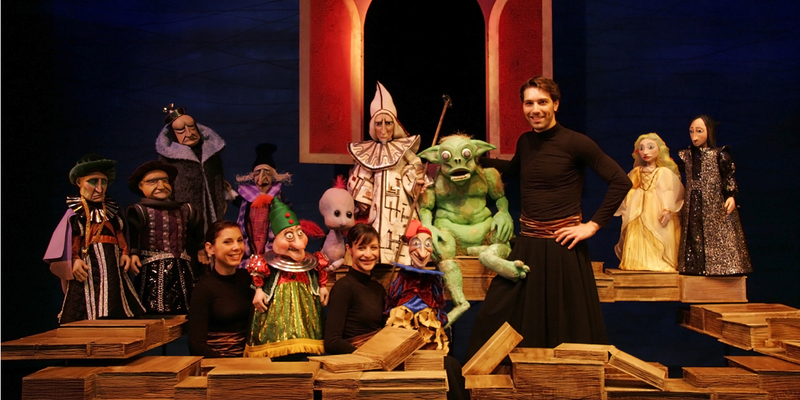 “Cavallet de cartró” (The wooden horse) is a poetry show for younger infants with ‘La companyia del príncep Totilau’. From the memory of the leading actress, we relive her infancy, when poetry became an amusing and pretty way to discover the world around her. 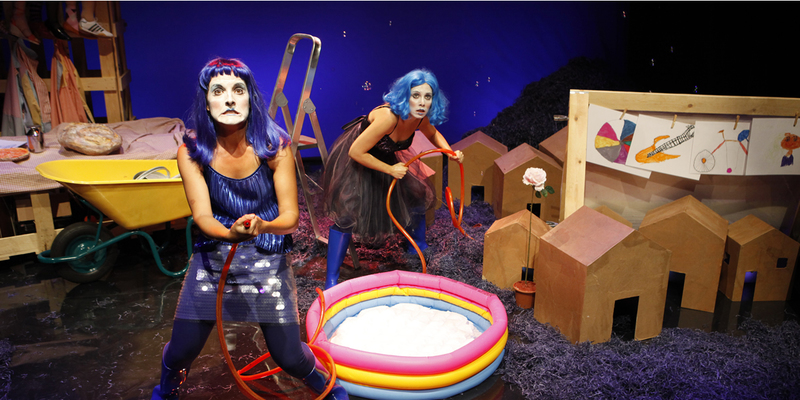 First performed in the autumn of 2010, it was created from the poetic work of different authors and received the Bòtil 2010 awards given by the government of the Balearic Islands and the entity Sa Xerxa. The second show with ‘La companyia del príncep Totilau’ is the William Shakespeare’s “The Tempest”, a staging conceived for all publics of the work by the English dramatist, and was jointly produced on the Temporada Alta-Festival de Tardor de Catalunya. In 2010 it won the Award for the Best Staging of the Puppet Festival of the Vall d’Albaida (Valencia). 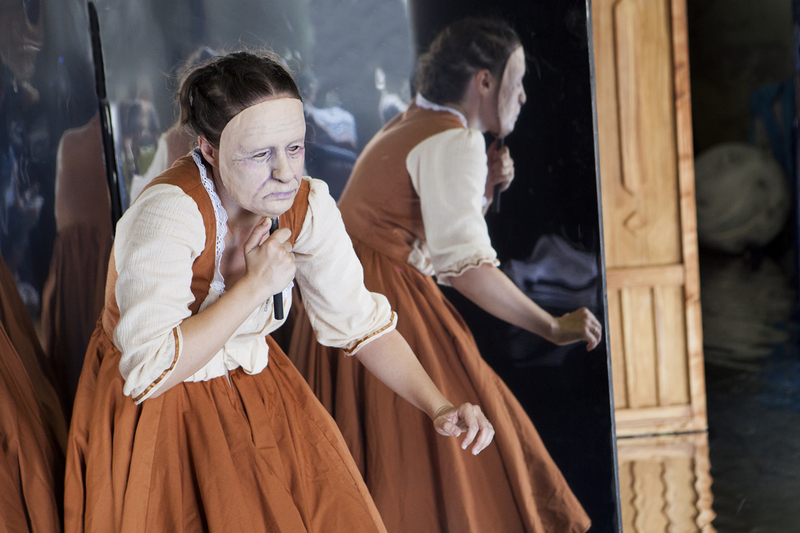 We have presented it at festivals like Fetén, Olmedo Classical Theatre Festival and Almagro Classical Theatre Festival. We started in 2007 and up to now we have created six shows with ‘La companyia del príncep Totilau’ (theatre) and two with “El ballet imperial de la reina Rosamunda” (dance). 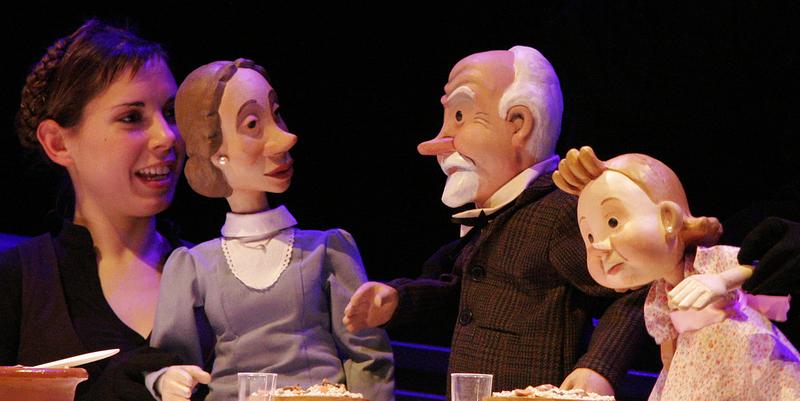 The first, “Sis Joans” (Six Johns), joint produced by the Teatre Nacional de Catalunya, is based on the tales of the same name by the writer Carles Riba. “Sis Joans” is a little jewel on the TNC program. The six tales by Carles Riba are interesting not only in terms of literature, but also for their personal maturity. Now, on the 80th anniversary of their publication, they become yet more of a classic with a sensitive staging generating little emotions.